Saving money is something that most, if not all of us love to do. The thought of knowing you are getting the best deal is such an amazing feeling, it becomes almost an addiction. Flea markets are probably one of the more popular places that people enjoy going to make sure they can stretch that dollar as much as possible. If you love the adventure of escaping the big-city shopping vibe, then you have got to check out some of these flea markets in the United States. Located at the Lincoln Road Mall in Miami Beach. This has been noted as one of the most underrated flea markets in America, as well as one of the most interesting. You can find a huge variety of collectibles, as well as a few rare artisans and vendors. Located in Brooklyn, NY, this flea market is well known for being located in the historic One Hanson, as well as in the Fort Greene section of Brooklyn. If you can’t seem to find that hidden treasure, the food vendors there have also been a major hit to the visitors it attracts. Located at the Rose Bowl Stadium in Pasadena, this enormous flea market attracts over 20,000 visitors each month, with its 2500 booths. You can find almost anything here from antiques, to landscaping design. Now one of the largest outdoor markets in the U.S., this attracts over one million visitors each year, despite only being open for 6 days each in May, July, and September. You are very likely to find New England collectibles and maritime accouterments for quite the deal here. This flea market is the best place to find interesting antiques. They also are well known for holding special events every month that are worth taking a look at. One of the oldest and largest flea markets in Texas. They have around 300 vendors currently, and has been kind of slowing down over the years, but that doesn’t mean you can’t find a great deal! This indoor/outdoor market is a good place to find almost anything vintage, or retro. There is something for everybody here for sure, since it attracts such a very diverse crowd. Located at Fairfax High School, this flea market attracts around 3000-4000 visitors every week, where you can find a wide variety of antiques, arts, and more. What makes the Melrose Trading Post so unique is that it is also a fundraiser to the school it is located at. Neat! The largest antiques show in Northern California, it features over 800 booths every month. Due to the rule that every item sold must be at least 20 years old, the show attracts some serious collectors, but there is still always a good bargain to be found. This market also enforces a 20 year old rule, includes over 800 vendors all spread over 20 acres. You can be sure to find a plethora of hidden treasures at bargain prices. Spread over 30 acres along Highway 237, this twice-a-year market certainly proves that everything is bigger in Texas. You can expect to find items including mid century decorations, Victorian items, and ranch furniture. They say there is no such thing as a casual visit when you go to Texas Antique Weekend so be prepared! Housed in an old 19th century planing mill, the Treasure Mart is a home for beautiful antiques, and vintage goods. They put out roughly 2000 new items in there store each day, and they say that about 75% of their goods are sold withing the first 30 days! Such a unique market, with a wide variety of antiques and collectibles. They also have quite the variety of artisinal foods that include Amish pickles, and veggie dogs. They even have veggie dog eating contests every week! They offer free admission, as well as free hugs, so do not hesitate to visit them! This historic flea market dates back to frontier times. It includes over 3000 dealers, and attracts well over 300,000 visitors, and includes a wide variety of antiques, collectibles, and hand crafts. It even includes an RV park that’s equipped with restrooms and showers! DC’s longest running outdoor market, you are sure to find a huge variety of items, as well as a huge market of vegetables and artisanal food that completes the scene. The Midwest’s largest flea market makes its home in quiet Amish country, upstate Indiana. The atmosphere is set by the music, and a variety of food is served there, and it includes over 100 vendors offering a wide variety of goods. 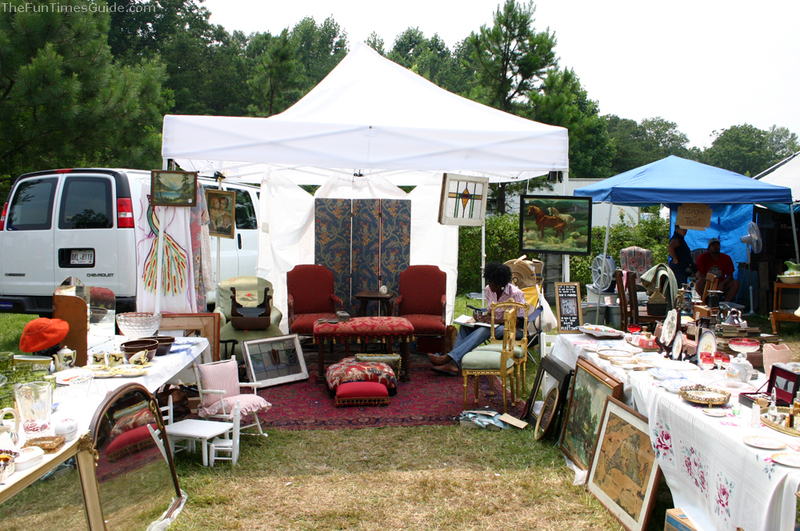 Recognized as one of the best Shows & Markets in America by CNN, Country Living, and more, the Springfield Antique Show & Flea Market is held on a county fairground, and includes more than 2500 vendors. Folksy and primitive items are a big seller here, and you are likely to get your best bargains in September, when vendors are trying to liquidate their inventories. Not so much a flea market, but would be better known as The World’s Longest Yard Sale. This sale stretches almost 700 miles down Highway 127 from Addison, MI all the way to Gadsden, AL. It’s hard to tell you what you might find, but the experience and the people will be something to enjoy more than anything. Named one of the top 10 shopping streets in the world by National Geographic. Over 100 vendors line the street each weekend, and offer a huge variety of collectibles. The Garage is no longer in business, but all of their wonderful vendors can be found at the 25th Street Market, only a half a block away from the garage, and Hell’s Kitchen Flea Market. The markets have been a big inspiration to famous cultural icons, including Andy Warhol, Michael Jackson, and many more.